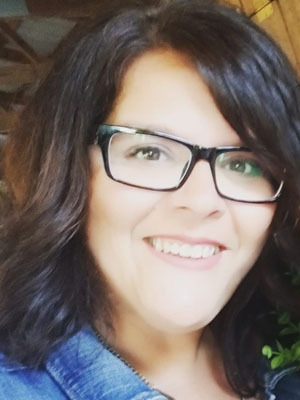 Melissa Allen, of Jordan, passed away suddenly on November 23, 2018, at the age of 44. She was a wonderful woman with a bright smile and a beautiful spirit. Melissa will be missed by her family, friends and the entire community. A visitation will be held on Friday, November 30, 2018 from 3:00 – 7:00 PM at Ballard-Sunder Funeral & Cremation in Shakopee. A Celebration of Life Service is Saturday, December 1, 2018 at 2:00 PM with visitation from 12:30 – 1:45 PM at Hosanna! Church in Shakopee. Pastor Julia Holtze will preside. Frank Vosberg, Gregg Pekarna, Jeremy Goebel, Kurt Dahmen, Joe Moriarty & Derik Briese will act as pallbearers, and Ella Mahto will be an honorary pallbearer. Missy will be laid to rest at Concord Hill Cemetery in Lydia. Melissa Anne Whipps was born on August 5, 1974. She was adopted by Chuck & Bonnie Whipps. Missy was the perfect addition to their family, and she loved growing up on the farm with her siblings, Lisa & Brian. As a girl, Missy spent a lot of time in the fields with her dad. When the Whipps family was able to get away for a few days, they’d head up to Duluth. This quickly became Missy’s favorite place, and she later carried on this tradition with her children. As a teenager, Missy loved visiting her grandma and spent countless hours across the street at the Vosberg’s. Melissa was very active in the Lydia Zion UMC youth group. She even went on a mission trip to Mexico with the group. This was her first and only time on an airplane. In High School, Missy was a cheerleader and made many wonderful friends. She was a huge fan of Jordan athletics her entire life, and she blead Maroon & Gold. After graduating from JHS in 1992, Missy became the 1992 Miss Jordan First Princess. She was proud to represent the town she loved so much. Missy met the love of her life in high school. Missy & Jason began dating her senior year. Soon they had their daughter, Kristine. She was a true blessing, and Missy was a wonderful mother. About a year later, Jason and Missy exchanged wedding vows on August 5, 1994. They were young and carefree. A lot of people thought it wouldn’t last, but as Missy and Jason matured, so did their relationship. Their love for God and each other grew deeper every day, and they had a wonderful marriage. Soon they were blessed with their son, Jacob, and their family was complete. The Allens lived on Cedar Lake for a few years. Missy enjoyed teaching her kids to fish and all about the outdoors. They went camping and tookfamily trips up to Duluth. Eventually, they settled in Jordan to raise their kids. They were very active at LZUMC. Missy did a lot of work, but never wanted any of the attention. She led Vacation Bible School and was the church pianist for many years. Missy had a gift for making others feel special, especially when it came to children. She used this gift as a paraprofessional at Jordan Elementary. She blessed the students and staff during her five years at JES. When Missy wasn’t working, she enjoyed shopping with friends, DJing with Jason and spending time at the farm. A few years ago, Missy’s lifelong dream came true, when she and Jason moved back to her family farm. She was so proud to care for the land that had meant so much to her as a girl. Family and Faith were the most important things in Melissa’s life. Missy had a servant’s heart and truly led a Christian life. She did anything for someone in need, Melissa loved her family deeply and set a wonderful example for them. She had a close relationship with her nieces & nephews and was so proud of her nephew who serves in the armed forces. Melissa was kind, loving and caring. Her laugh was contagious, and she spread joy with her bright smile. Missy was brave, energetic and so much FUN!. She truly was the life of the party. Although Melissa is no longer by our side, she will live on in the hearts of her husband, Jason Allen; children, Kristine (Alan Boettcher) Allen and Jacob Allen; mother, LaVonne “Bonnie” Whipps; siblings, Lisa (Jeff Weckman) Whipps and Brian Whipps; other loving relatives, many dear friends and a grateful community. Missy was greeted in Heaven by her dad, Charles ”Chuck” Whipps. Jason and family, we were so saddened to hear of Missy’s sudden passing. She was such a lovely person inside and outside. Always full of smiles and laughter. I always enjoyed chatting with her over the years and will miss her beautiful smile. I am thankful to know of her love for her Savior Jesus Christ and that she is in the best place of all now for all of eternity. Please take comfort in the promises of God to help you through this time of loss. We will be praying for you! Jason, I am very saddened and sorry for your lose. Missy was special. Her spirit will be missed. I am comforted in knowing that we don’t grieve as those with no hope. Be well. If there is anything you need please don’t hesitate call. Jason, I am so sorry to hear of Missy’s death. Jackie and I send our condolences for your loss. Jason I just heard of Missy’s passing. I took it hard. I always cared about you guys. So sorry for your loss. You are in our thoughts and prayers. My heartfelt sympathies go out to the family and friends. May you find some comfort in the promise found in Revelation 21: 3-4 and 1 Thessalonians 4:14. Knowing that there is an opportunity to be reunited with loved ones. Jason, Bill & I were so sad to hear of Missy’s sudden passing! You and your family our in our hearts and prayers! This world lost a beautiful lady! With our deepest sympathy on Missy’s passing. We will keep you in our prayers this week and in the months ahead. We regretfully will not be able to attend Missy’s Services but will be thinking of all of you. Thinking of you and sending healing vibes your way. We are sending you prayers for the loss you are going through. Missy touched so many people, the stories I’ve read of her are wonderful. I was very saddened to hear of Missy’s passing. She was indeed a special person. My heartfelt condolences to her entire family. May God bless you with comfort during this difficult time. We knew Missy from when she was a baby, and she was always a joy to know. Missy was an exceptionally friendly person and that friendliness extended to all ages. Our deepest sympathy to Jason, Kristine, and Jacob – blessings and love to all of you. Dearest Jason, I am so sorry to hear about the passing of your wondeful wife Melissa. Please know you and your family are in my thoughts and prayers during this difficult time.